This document is intended to assist nurses and other members of the interprofessional team to focus on evidence-based strategies in the context of the provider-client relationship. Also, competencies vary among nurses and among the different categories of nursing professionals. 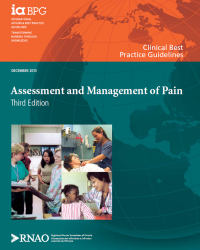 It is important that nurses, in collaborating with their interprofessional team, know and work with people, their families and caregivers to promote safe and effective strategies for assessing, managing and preventing pain. Effective prevention and management of pain depends on coordinated interprofessional care that emphasizes ongoing communication among professionals and the people seeking their services. 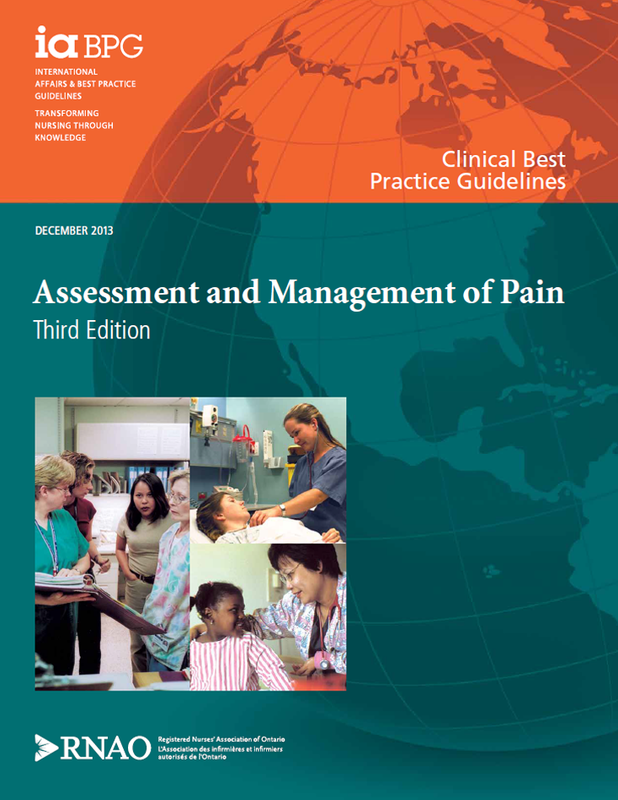 This guideline is endorsed by the International Association for the Study of Pain.